Fencing Mindset – Afraid to Lose or Want to Win? How a fencer thinks about fencing has a massive effect on how they perform. Two fencers who have the same amount of talent and skill can do dramatically differently in competition depending on how they think about it. It’s not only how many hours you put in in practice or what kind of equipment – how you frame your thinking about competition is equally as important. Are you driven to win or afraid to lose? While it might seem that both lines of thinking lead to the same end, that’s not entirely true. Which one you put the emphasis on changes how you feel, how you think, and how you fence. There is a huge difference between the two! One mindset is great for achievement, the other is terrible. How you approach the challenges and demands of fencing is critically important. Which is which? Let’s talk about that. When we think about different kinds of fencing, the first thing that jumps into our minds are the words epee, foil, and sabre. But within fencing there are far more subtleties than just what kind of weapon you use. 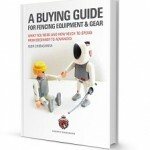 Getting down to it, there are essentially two ways to approach fencing, either from a tactile standpoint or a tactical standpoint. While all fencers are a mix of the two at some level, each fencer will also have one dominant world view. It’s important that fencers reflect on their propensities and style so that they can learn balance on the strip. The more you enhance your weaknesses, the more success you’ll find! Tactically minded fencers can benefit greatly from shifting their focus to the tactile side of the sport, and vice versa. When you close your eyes and think about fencing, do you feel the shape of the grip in your hand and the strip under your feet, or does your mind spark with the thought of how you can counter your opponent? 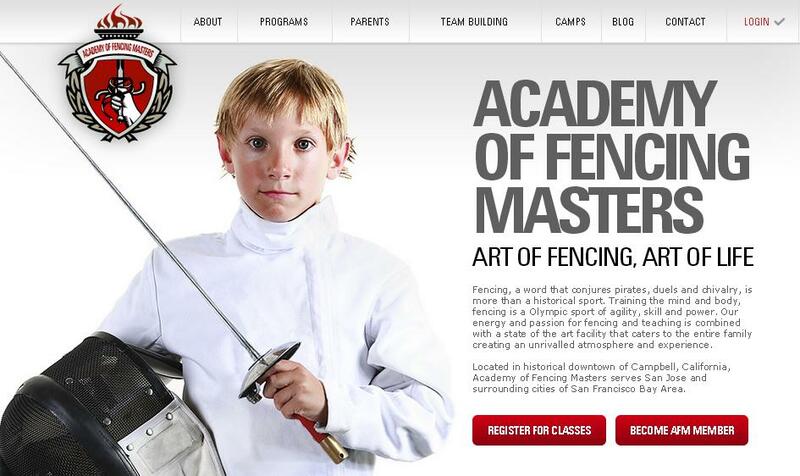 Keep your answer in mind as you keep reading, and you’ll gain insight into your style of fencing. All of these things mean the same thing. They mean that two fencers are not fencing, they are just standing there looking at each other. In effect, the fencers who are supposed to be big and bold masters of the sword are pretending to be statues instead, waiting for the other fencer to do something. In competitive fencing, non-combativity has been rampant. It’s been everywhere, and for a very long time, and was often used as a tactical move at high competitive level. That’s all about to change with one swift stroke for every fencer not only in America, but across the world. Soon, it won’t be. Here we’re going to explain the new unwillingness to fight rule that was adopted by FIE (the international governing body for fencing) for all competitions starting January 1st, 2019. It’s the same rule that was adopted by the USFA, with only some slight modification for the United States and that goes into effect on February 14th, 2019. This is one of the most dramatic changes in fencing rules in recent history. There are of course always a lot of changes, every year we find new changes to adopt, but this one is completely different. You’ve done it! After months upon months of hard work and diligent progress, listening to your coach and spending plenty of time at the club, you’ve finally done it! You finally reached that goal and got the fencing rating you were looking for. Often fencers think that when they get that rating for the first time, they’re done. They’ve reached their goal. They feel like this is a huge accomplishment, one that can carry them forward for a while and maybe they can coast without so much focus and attention on their fencing. At least for a little while. It feels great, a big thing to have accomplished! Which is true, it is a big thing to have accomplished. But just like everything else in life, it’s important that this kind of accomplishment be put into context. Fencers, especially young fencers, can get into the habit of stopping there, of thinking that because they got that rating that it’s time to sit still for a while. It’s not! Quick note: We know that those of you who are sticklers for the details would call this not a rating but a fencing classification, and you’d be right that it’s the right term! Technically. However everyone generally calls the letter classification as a “rating”, so for the purposes of mass adaptation we continue to use this unofficial term. Just so you know that we know so you can know. Half of your fencing career you work for your reputation. The other half your reputation works for you. This is true of every level of fencing, even at the local fencing competitions that seem so far from the international level. Fencing is a small community, and within that community, news spreads quickly. Everyone knows everyone, whether you’re at a small tournament in your area or at a national one with fencers from all over the country. That’s especially true as social media runs away with our ability to connect. There will be people who will know you, know your coaches, know even your family members that come along, and many of these people you will never have seen before! This forces us as fencers to make sure that we are doing what we need to do in order to build and safeguard the kind of reputation that we want to have. Most often this happens organically, but knowing what you’re doing and so creating your reputation with intention is a good idea. Here are some ways that you can make the most of your competitive fencing reputation.